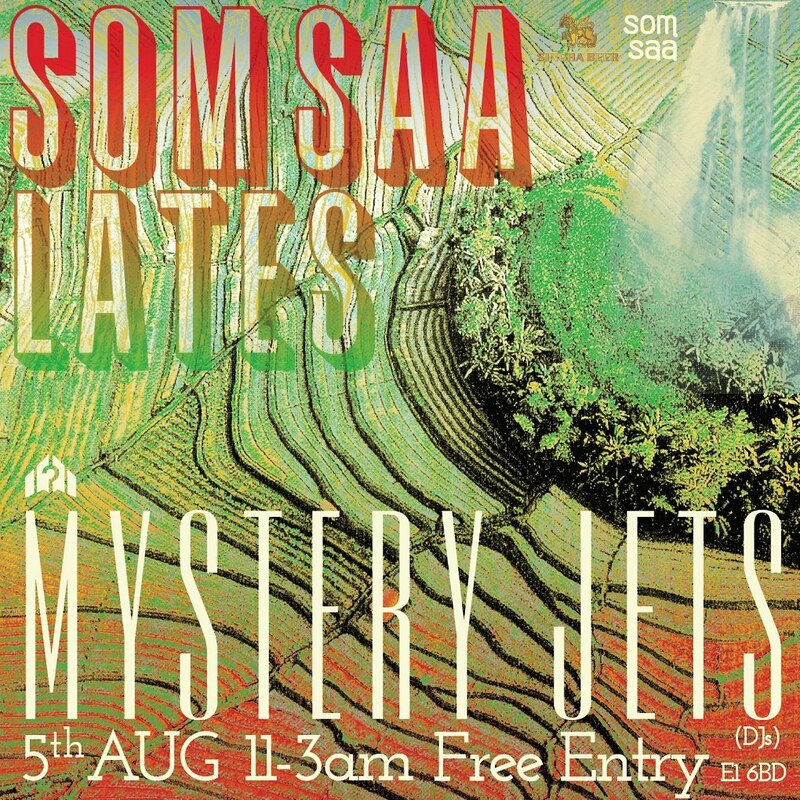 On Saturday the 5th of August we are very excited to be welcoming indie band MysteryJets for a special DJ set for somsaa late night number 9. According to the guys we should expect "everything from T.Rex to Trap and back again" ...so it should be a fun party. Plus, as always with our lates, there'll be Thai food from the woks and charcoal grill until 1:30am, with drinks, music and the party going until 3am. And of course...it's free entry.